Valentine’s Day is only 10 days away, and Badrick’s Skincare and EVOLUTIONMAN have both just launched the perfect kits to gift the guy in your life! Whether your guy is a sports guy or trying to grow the perfect beard, there is a kit just for him. Mug Scrub – Clogged pores, imbedded facial hair, or just dry flaky skin. 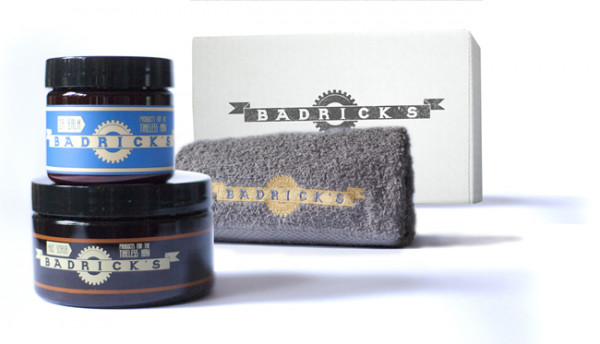 Mug Scrub rises above other scrubs by bringing it to your Badrick’s style – gentle but firm. DaBalm – A lightweight anti-bacterial balm used to promote healthy beard growth while removing and healing redness and dryness due to coarse beard hair.